Polish developer CD Project RED is making something of a name for itself by adapting other people’s fiction to its own meticulously crafted roleplaying video games. The two Witcher games to date are both adaptations of author Andrzej Sapkowski’s short stories, and they’re among the top handful of roleplaying titles released in the last decade. Now the company is setting its sights on something a bit less medieval, and a bit more futurisitic. According to a press release issued by CD Projekt RED representatives, the company’s next game will feature the title “Cyberpunk 2077.” As you old-school pen and paper roleplaying fans might have surmised, this isn’t just a catchy title, it also indicates that CD Projekt RED’s game is going to be an adaptation of the Cyberpunk roleplaying game created by Mike Pondsmith. 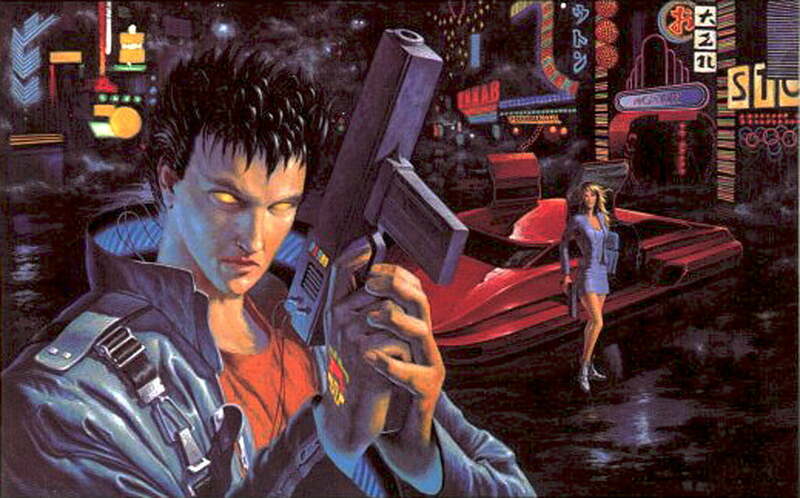 So what is Cyberpunk? It’s a bit hard to describe, but imagine a dystopian, technology-reliant world in which all of our modern science has been taken to crazy extremes and class schisms are even more vast than they are currently. Sort of like Ridley Scott’s Blade Runner, only with more freedom for players to change the outcome of the story. Nostalgic locations! Nonlinear story! That’s all welcome news, particularly for those who already love the Cyberpunk universe, but more intriguing is CD Projekt RED’s assertion that the game will feature “freedom of action and diversity in gameplay” thanks to “the sandbox nature of the game and mechanics inspired by the ‘Cyberpunk 2020′ pen-and-paper system, fine tuned to meet the requirements of a modern RPG.” Though this doesn’t indicate whether “sandbox” in this case is referring to a Grand Theft Auto-style, completely open world that allows players to explore any location at will, or if it is instead referring to the relatively open-world style of the Witcher games, we could see either design working quite nicely for this game. Unfortunately, this press release is missing a few key details, such as when we might expect to see this game on shelves, what platforms it will be available for and how much it might cost at debut, but given this thing’s nascent production it’s likely going to be a while before any of us are shooting up Night City. We’ll keep you updated as information appears, but in the meantime feel free to visit the game’s newly launched website. There’s not much up there, but at least it gives you some place to start building anticipation.